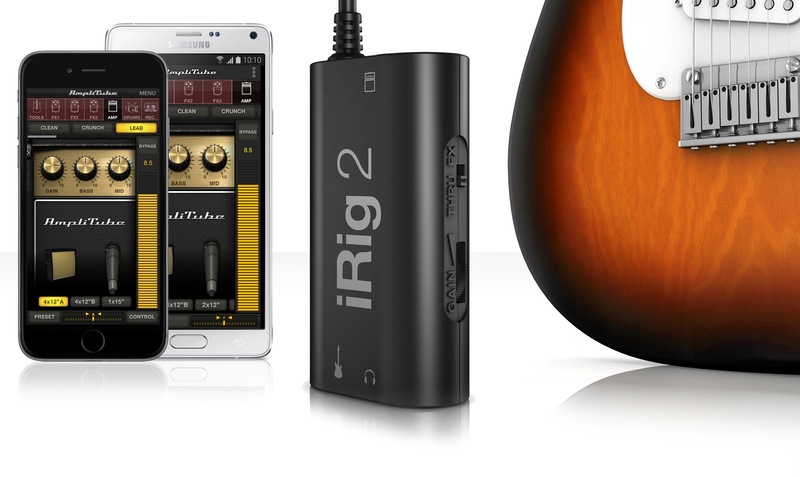 IK Multimedia introduces the new version of its mobile interface for guitar, the iRig 2, which release is scheduled for Q1, 2015. 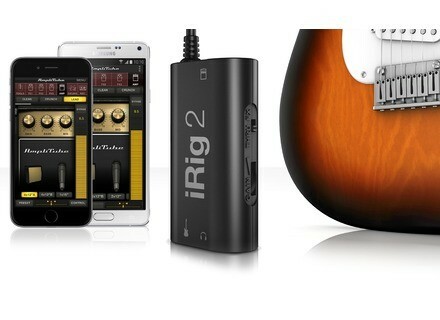 The first big news with the iRig 2 interface is that it will not only be compatible with iOS devices and Mac, but also with Android tablets and smartphones (Samsung, LG, Motorola, HTC…). The new interface will ship with a removable stand and velcro strip so that you can fix it to any kind of support. IK Multimedia will complete the iRig 2 with a suite of apps, including AmpliTube for Mac/PC, iOS and Android. Pricing announced is 29,99€ / $39.99. More info at www.ikmultimedia.com. Review of AIR Music Technology Advance Music Production Suite The AIR Advance Music Production Suite makes it possible to obtain a large and diverse collection of studio software with a single purchase. It contains 34 virtual instruments, including all the major AIR titles as and a range of titles from other developers including Camel Audio SONIVOX, Akai Professional, D16 and more. In addition, you get 17 effects processors from industry heavyweights like Waves, PSP, and iZotope, Wave Arts and more. Also included is a collection of loops (leaning heavily on the EDM side), and discounts on gear from Akai and M-Audio, and for services like Gobbler and Sonic Academy.All of this content comes on a 500 GB USB drive for $599. Let’s take a closer look at what you get. Unwrap 10 free drum kits from Twisted Tools! In collaboration with the elves up North, Twisted Tools brings you Friday Freeware a day early! GSi releases a double MIDI controller Following the two-tier form of a 5 octave organ, the GSi DMC-122 can function as a complete MIDI control surface.